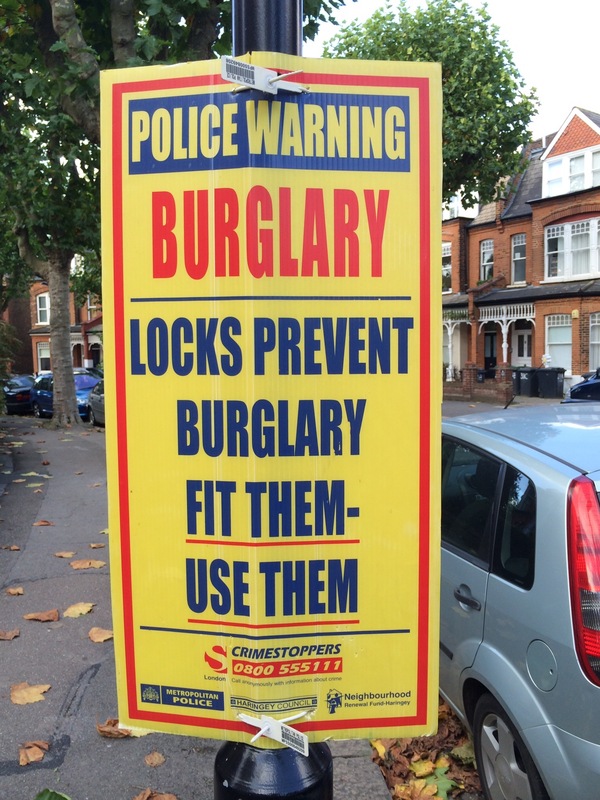 Whilst working on Queens Avenue in Muswell Hill N10 yesterday a customer told Alexandra Locksmiths that there had been a spate of burglaries in the local area. Tied to a lampost was this sign from the Police advising residents to fit locks and use them. If you need advise on securing your property call Alexandra Locksmiths on 020 8883 1555 for a FREE no obligation security survey and we will be happy to help. We supply and install all types of door and window locks including high security options such as Banham and Ingersoll. We also fit security gates and grilles and safes.